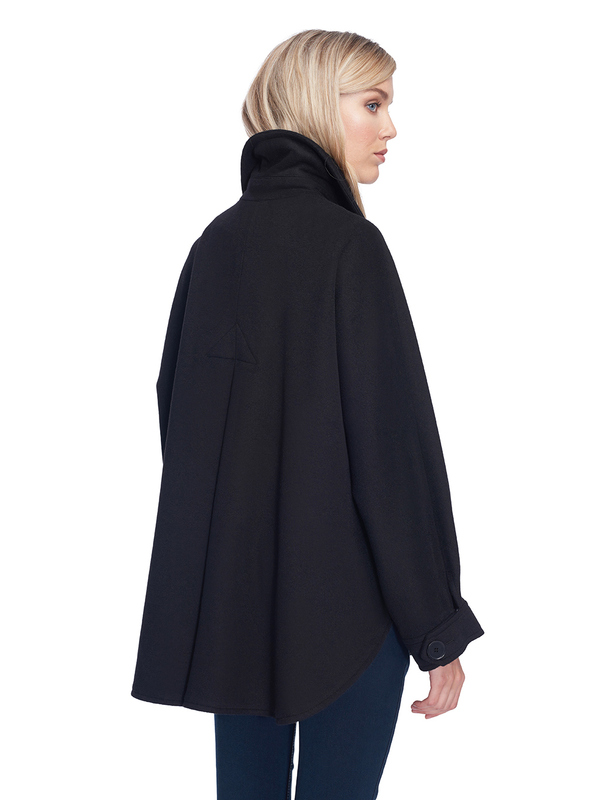 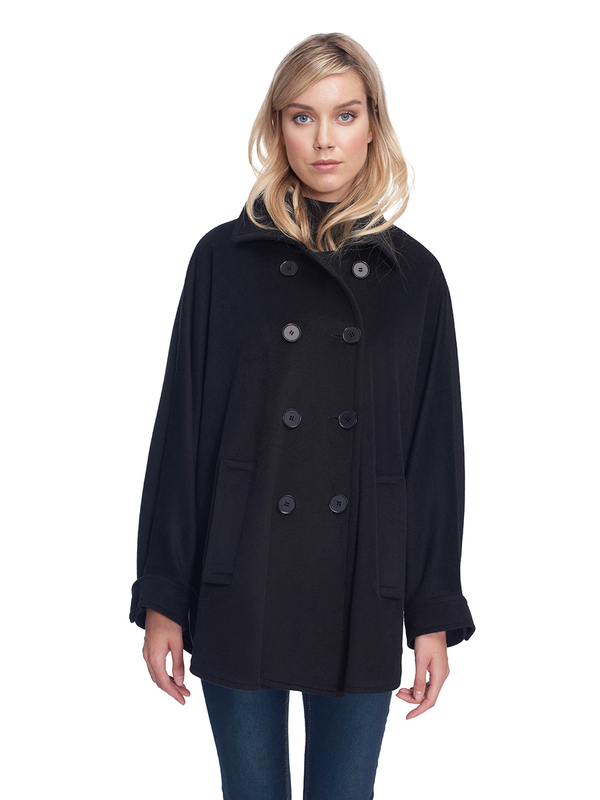 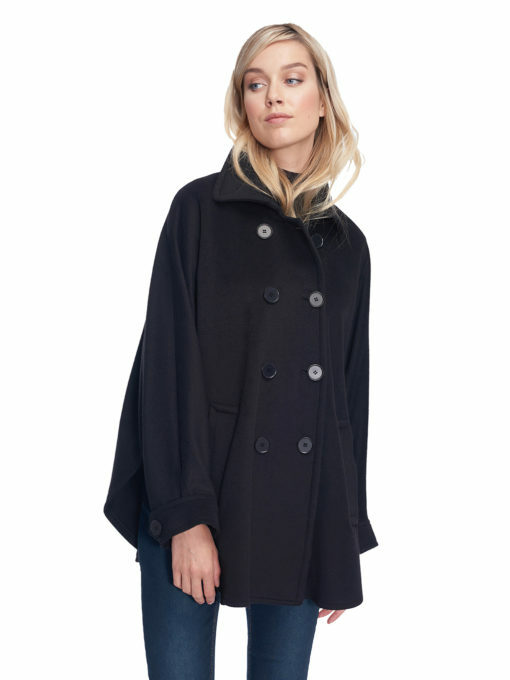 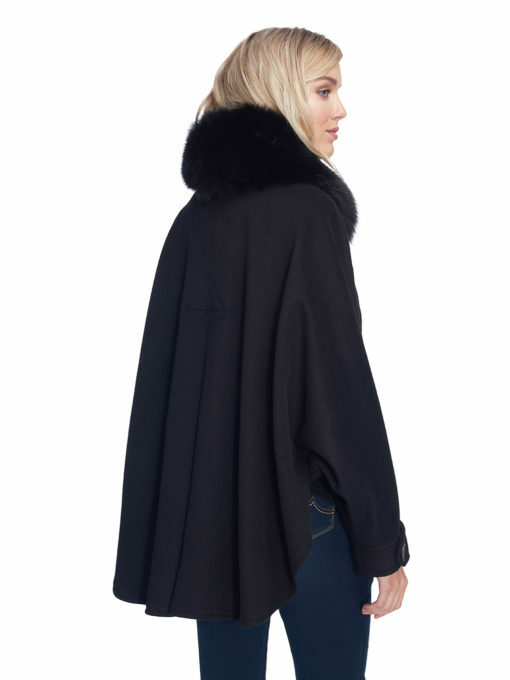 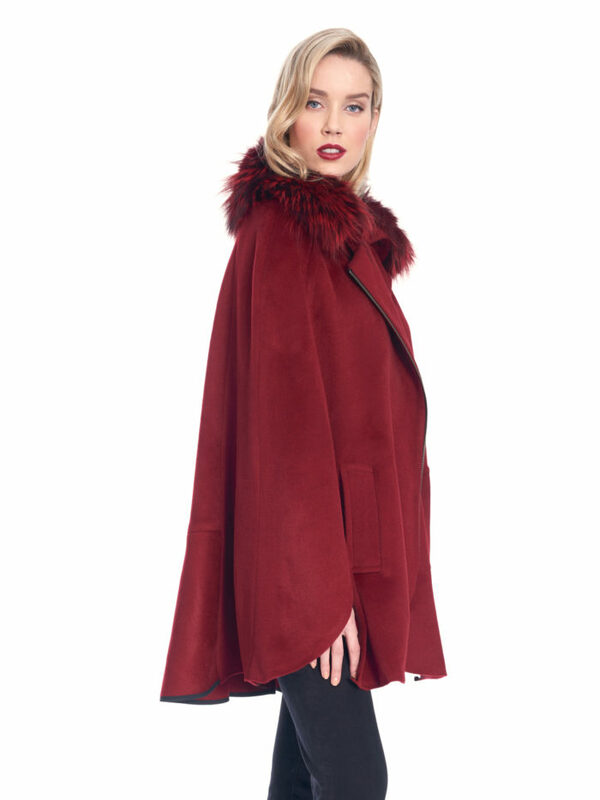 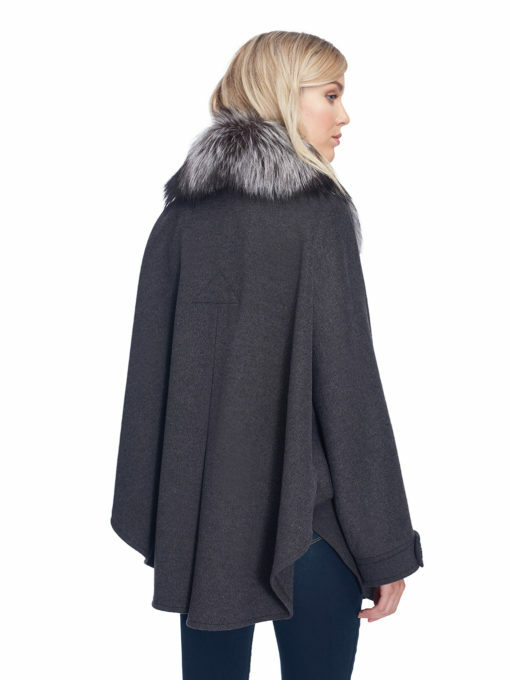 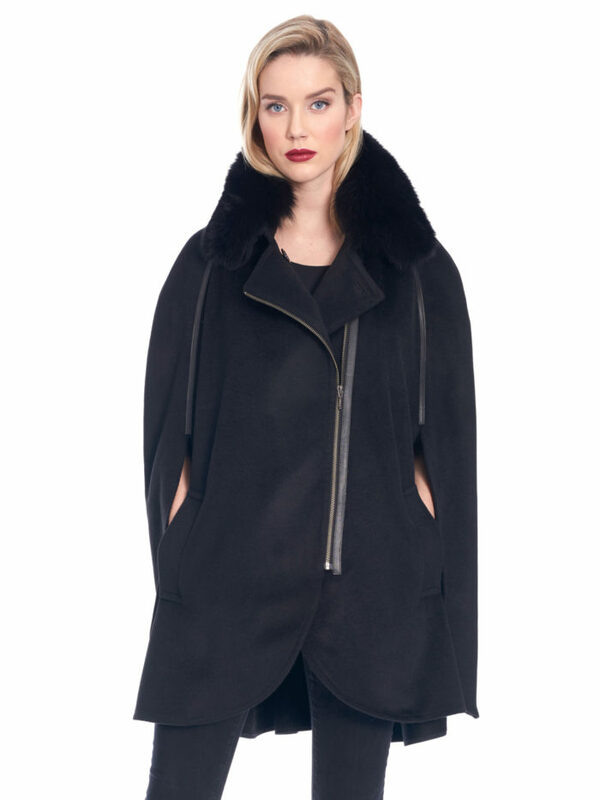 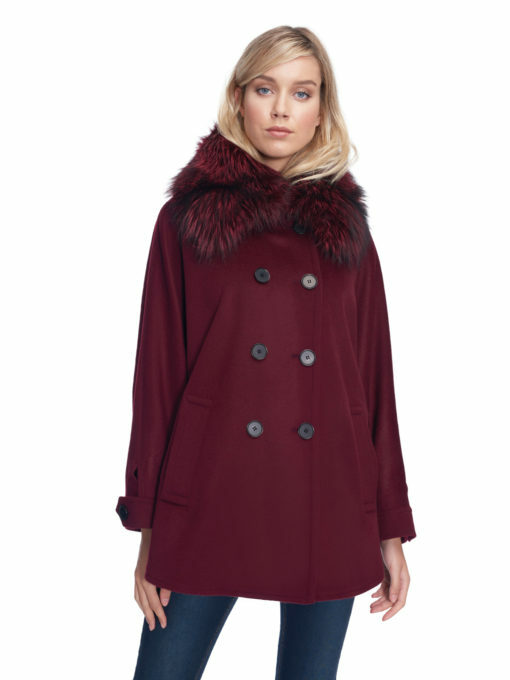 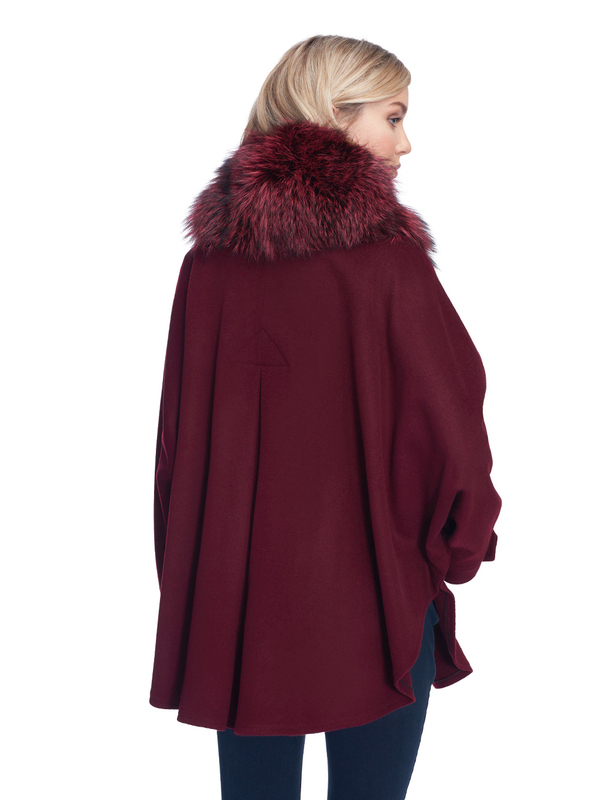 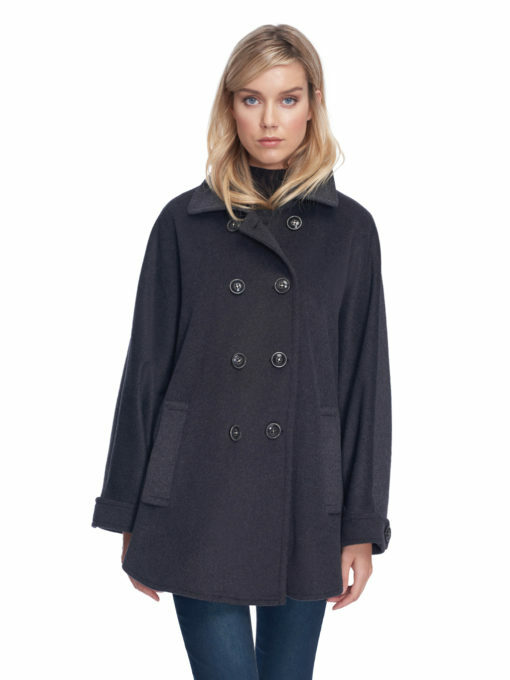 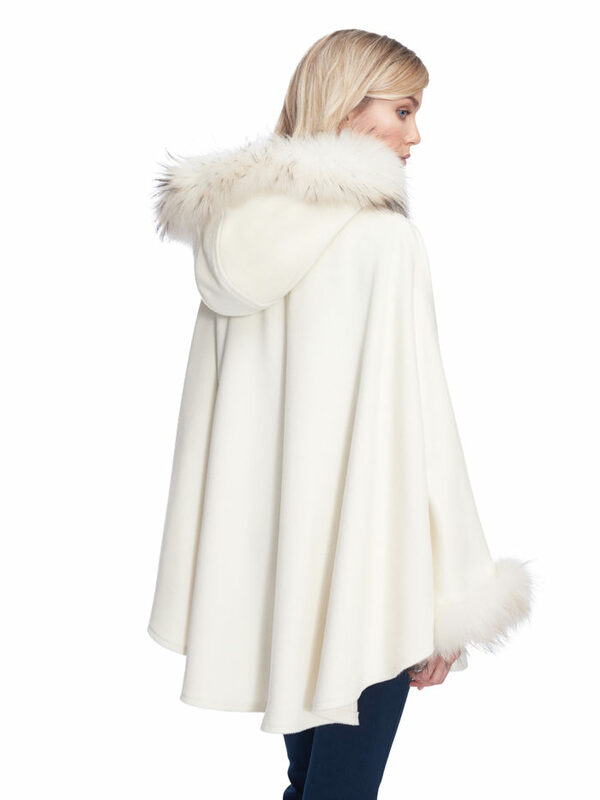 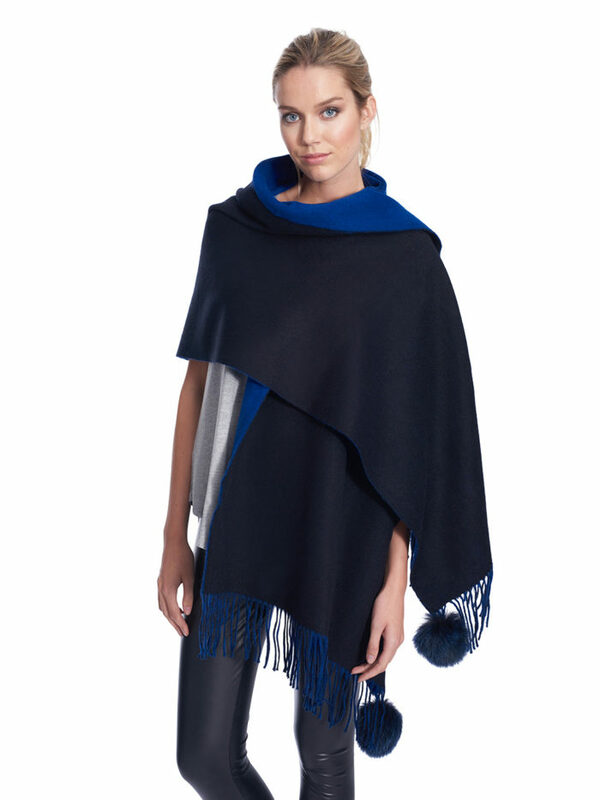 Get serious about this fall-winter season with the Cashmere cape coat that’s offered in 4 beautiful colors. 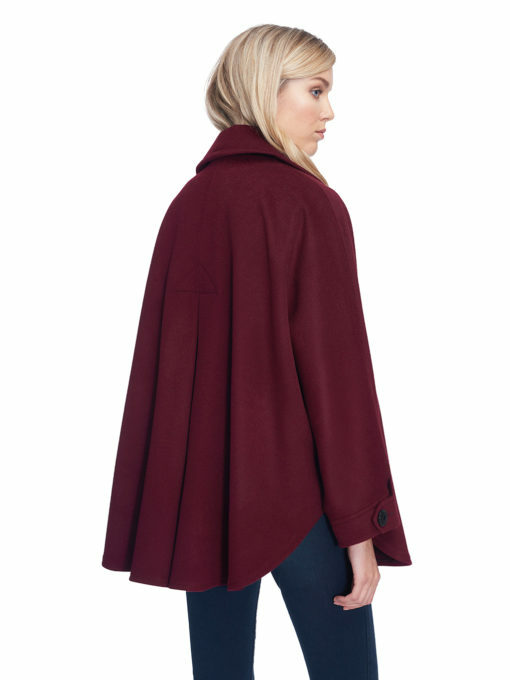 With its double-breasted buttons and pleated back details, this cape will give you a feminine feel for your casual everyday look. 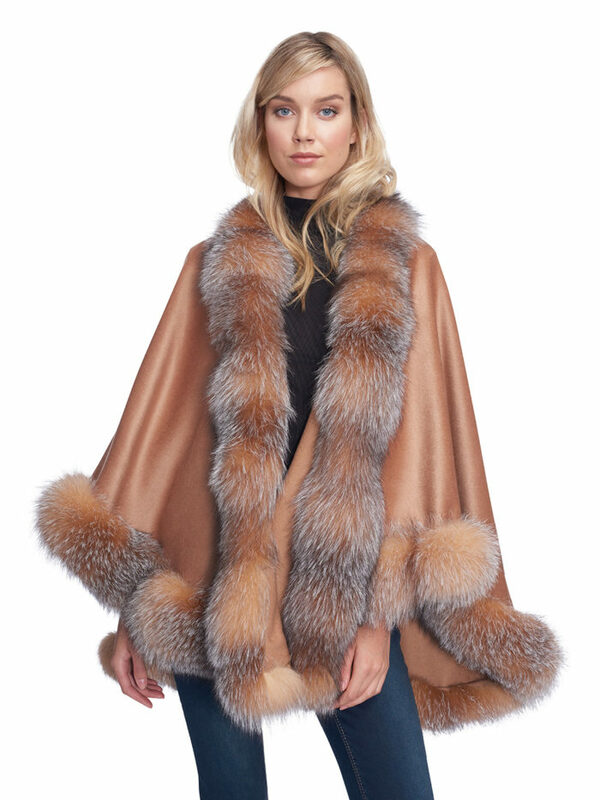 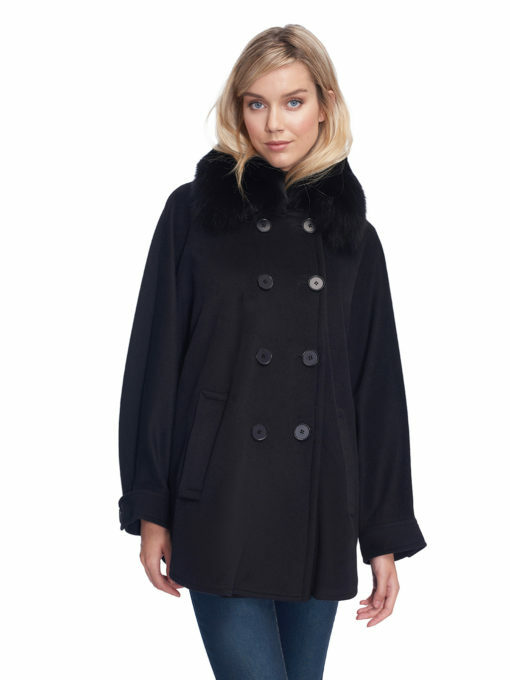 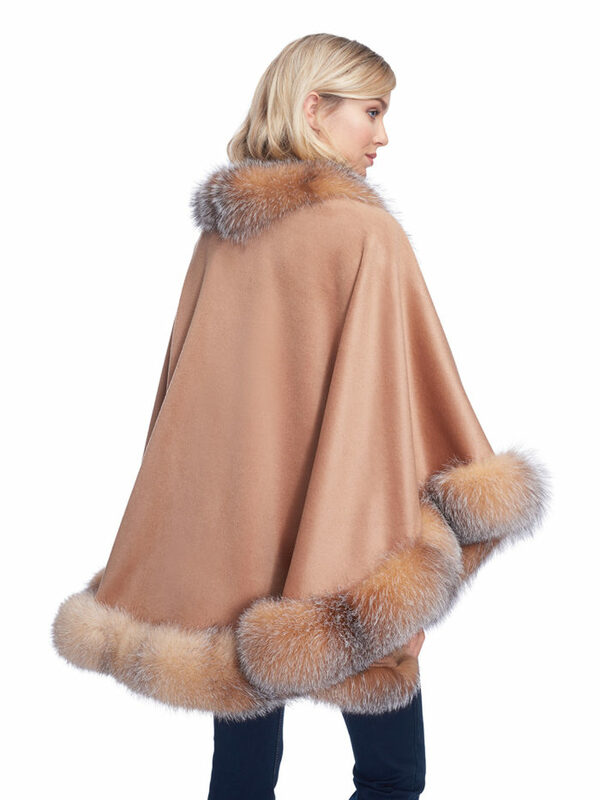 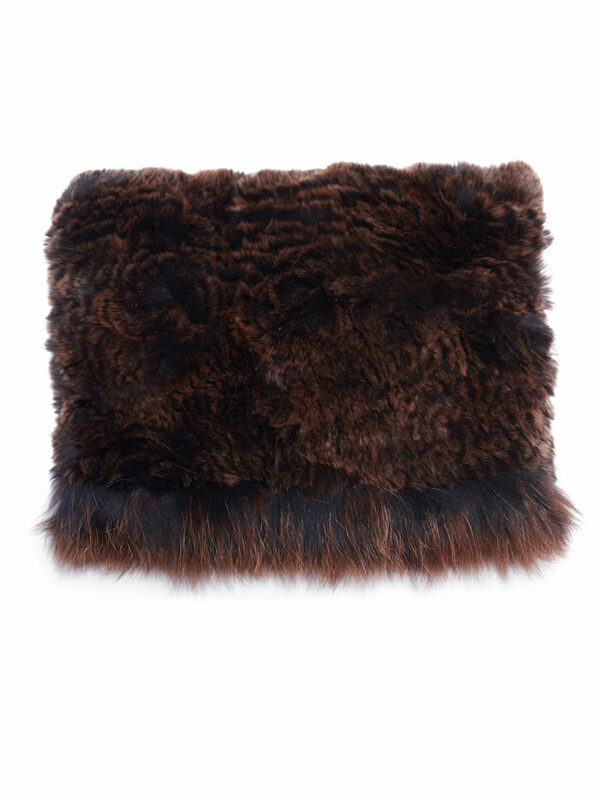 It is also easily customizable with the removable Fox fur collar that comes along with it. 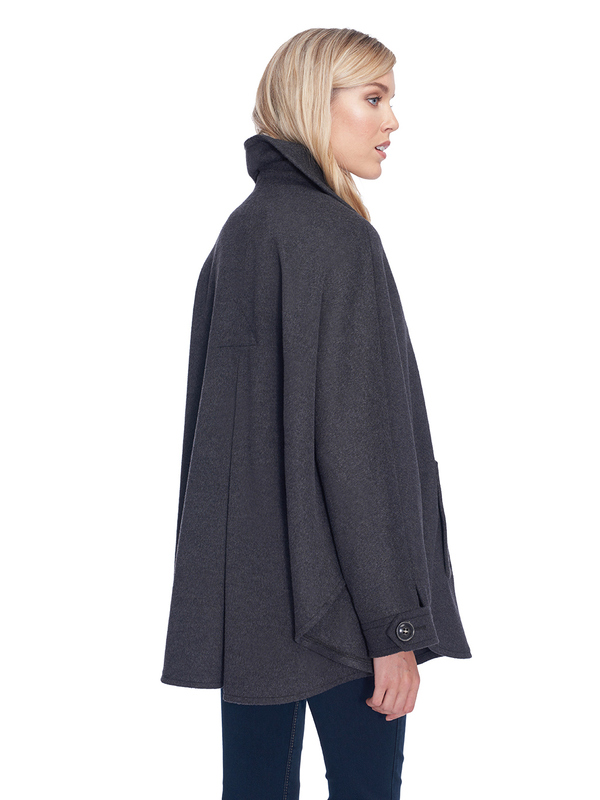 Oh and don’t forget the spacious front pockets to keep your hands warm and cozy.